Hikers of the world, rejoice! 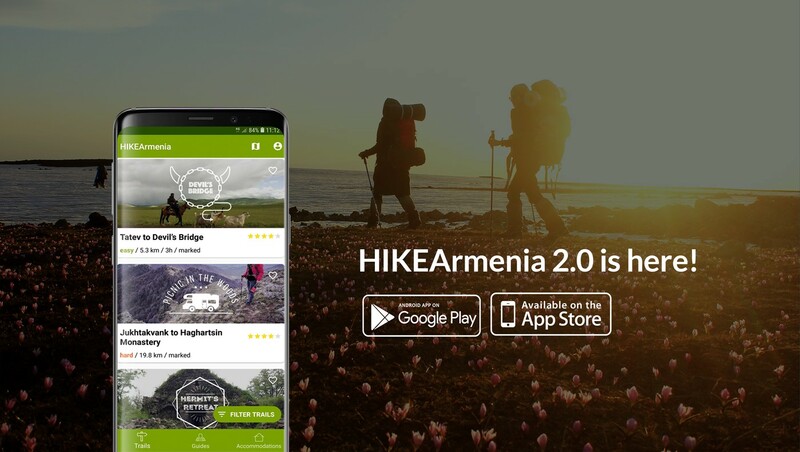 The HIKEArmenia app was first released in September 2016, and we’re very happy to say that version 2.0 is finally here, available now on the App Store and Google Play. 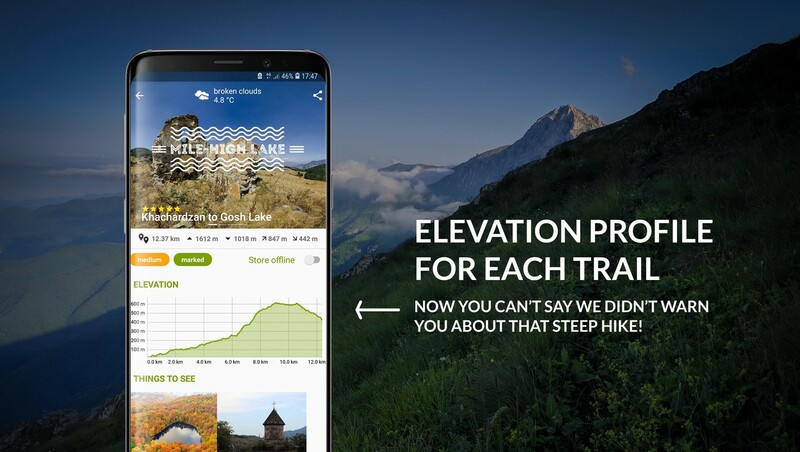 We’ve improved existing features, as well as added new ones, thanks in part to valuable feedback we received on the first version of the app from beginners and trail professionals alike. This is by far the #1 comment we received about the first version of the app. Elevation profiles are super useful to hikers, both beginners and experienced, as they tell you how difficult the hike is and much your legs may hurt afterward. Take these two trails for example — the elevation profiles here really tell you a lot about what your hike will be like! Do you want to hike one of the beautiful routes in Gomk, but have no clue how to get there from Yerevan? Fear not! 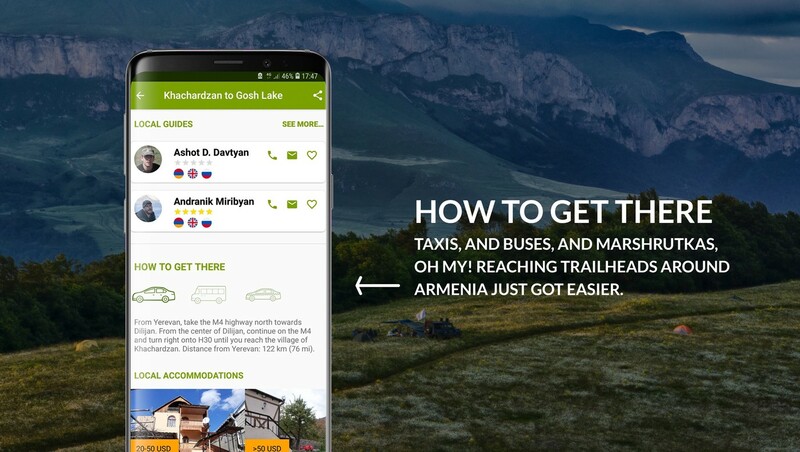 On HIKEArmenia 2.0, each and every trail features a HOW TO GET THERE section, which will give you directions if you’re driving, tell you which bus or minivan (known locally as marshrutkas) to take from which station, or what train, if any, will take you there. Ancient churches, hidden lakes, beautiful fortresses… These are what make hiking in Armenia so special. 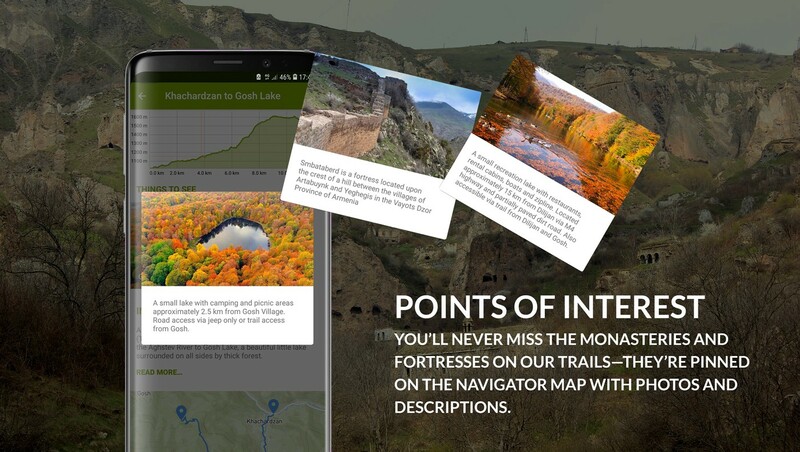 These points of interest are listed (with pictures) on each trail page, and are also pinned on the navigation map, so you don’t risk missing them while you’re hiking. Trail markings unclear? Mudslide blocking a trail? You can let us know immediately by tapping the orange SIGNAL icon on the navigation map. In addition to a written explanation of the issue, you can also attach a photo of the problem to your message. We’ll receive it along with your GPS coordinates and do what we can to get it fixed ASAP. Thank you for helping us keep Armenia’s trails in tip-top shape! 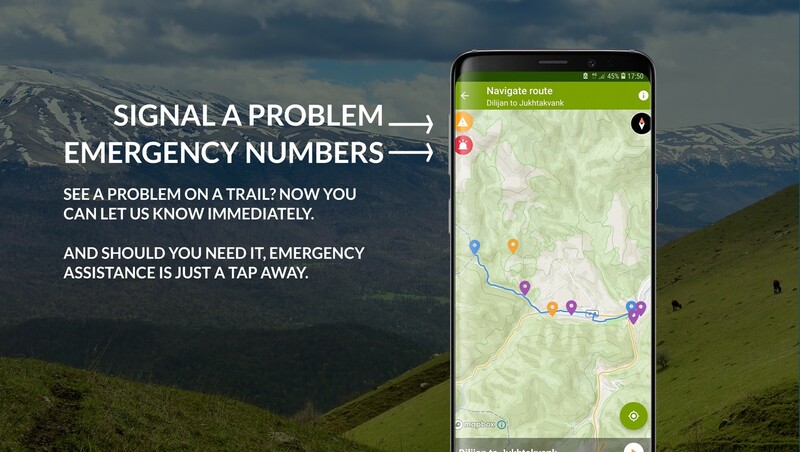 If you run into a health or security related problem while hiking, just tap the red HELP icon directly below SIGNAL while you’re navigating, and we’ll give you the best numbers to call for assistance. We’ve also improved existing features of the app, such as the GPS tracker, which now works much better. The offline mode has also been simplified and made more intuitive. If you haven’t opened the app since its first release in 2016, you’ll notice that we’ve added several more trails (as of today there are 16 — and we’re adding more each week), and that we’ve given each one a nickname and logo. Why, you may ask? We want hiking in Armenia to be as accessible and friendly as possible to everyone. To a hiker from outside Armenia, names based on locations like Dilijan or Garni won’t mean anything (when in fact these places are well-known by locals), whereas “Cobblestone Road” or “Mile High Lake” might paint a mental image right away. If not, the photos certainly will. We hope you enjoy that new version of the app! As we work continuously to make hiking in Armenia a seamless and enjoyable experience for all, you can help us by leaving reviews and letting us know what else we can improve on. Feel free to message us on Facebook, Tweet at us, or PM us on Instagram. We’re all ears! And don’t forget to share your hiking adventures in Armenia on social media with #HIKEArmenia or tagging us. We’ll re-share it to get the word out on everything Armenia’s trail have to offer.